The main objective of the lab is to develop the capacity of Bulgarian science in the field of bioelectronics, bioinformatics and biotechnology. Its role is also to establish itself as a modern center for technological knowledge, scientific research, education and training of professionals, research and development activities and innovation. 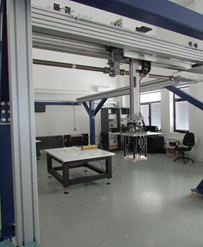 The main objective of the rapid prototyping laboratory is to develop a research capacity for the application of innovative technologies for materialization of virtual 3D models with complex forms in a very short time. This lab’s mission is to create innovative practices and to build unique and accessible opportunities for research and development in the field of 3D creativity through systems for quick physical manifestation of new ideas and products in order to shorten the time to market. The laboratory aims to create a unique platform for validation and certification of industrial solutions and components in the railway signalling sector (ERTMS) and board computers. The laboratory is composed of two separate units operating in different fields of research and innovation – rail traffic management, as well as cooperative smart grids and Internet of Things. The laboratory aims, in collaboration with research organizations and industrial clusters, to become a leading center that facilitates access to specialized software and CAD systems and contributes to the development and maintenance of highly qualified specialists in the field of artificial intelligence. Scientific research and developments in the following areas: intelligent systems for medical applications, algorithms for controlling robots and drones, intelligent systems for early warning of natural disasters and intelligent systems for the recognition and certification of materials and products. MINOLab provides services in testing and root cause analysis of failures and defects in integrated circuits (chips), printed circuit boards, electronic devices and prototypes at micro- and nanoelement level as well as prototypes at module and system level. Activities include design of electronic circuits and components, prototyping of printed circuit boards, development and testing of devices at circuit and system level including embedded systems. MINOLab delivers training in electrical engineering, microelectronics and nanoelectronics for employees, students, experts, etc. 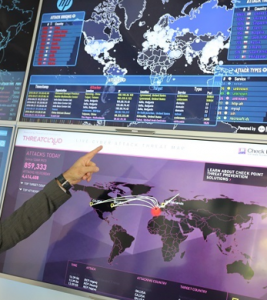 It is the laboratory‘s mission, within five years of its opening, to become a regional Eastern European center of competence on the issues of cyber security, to perform scientific research activities and create partnerships on a global scale. The laboratory is specifically designed and equipped to carry out activities in two key areas – cyber security research and development of innovative models and methods. The mission of the HPC laboratory is to deliver reliable, sustainable computing resources and services to facilitate the use of high performance computing and to meet the small scale and mid-range computational demands of the scientific research community in the academic institutions and high-tech SMEs located all over the country and the region. The BioPharm Lab Complex includes three well integrated laboratories and a supporting analytical center: — Laboratory for extraction of natural products and synthesis of bioactive compounds; — “In vitro” laboratory for evaluation of biological activity and toxicity; — Pharmaceutical development and characterization and “In Silico“ design. The lab complex is designed to perform problem-driven and industryoriented R&D directed to efficient, value-added and environmentally-friendly utilization of the national bio-resources and valorization of industry byproducts and bio-wastes to obtain products with high added value. The BioPharm Lab Complex includes three well integrated laboratories and a supporting analytical center: — Laboratory for extraction of natural products and synthesis of bioactive compounds; — “In vitro” laboratory for evaluation of biological activity and toxicity; — Pharmaceutical development and characterization and “In Silico“ design. The lab complex is designed to perform problem-driven and industryoriented R&D directed to efficient, value-added and environmentally-friendly utilization of the national bio-resources and valorization of industry byproducts and bio-wastes to obtain products with high added value. The BioPharm Lab Complex includes three well integrated laboratories and a supporting analytical center: — Laboratory for extraction of natural products and synthesis of bioactive compounds; — “In vitro” laboratory for evaluation of biological activity and toxicity; — Pharmaceutical development and characterization and “In Silico“ design. The lab complex is designed to perform problem-driven and industry oriented R&D directed to efficient, value-added and environmentally-friendly utilization of the national bio-resources and valorization of industry byproducts and bio-wastes to obtain products with high added value. The aim of the laboratory is to develop and apply virtual and augmented reality and the related innovative technologies, work methods, tools and equipment in various fields of industry, science, education and social life. Some of the main activities of the lab are: Training, research and correction of three-dimensional models of products and equipment in true to scale immersive environment using natural interaction techniques for visual verification of the structure and properties of objects, integration of tactile feedback, sound effects for the purposes of rapid development of systems, support in decision-making, development, practical application of methods for virtual prototyping based on the collaboration of software for engineering analysis and simulation systems for virtual and augmented reality.